This blog was co-authored by Jon Goldstein and Sara Brodnax. 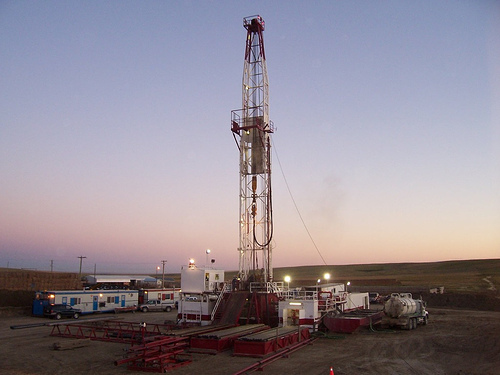 Last week, the U.S. Department of the Interior’s Bureau of Land Management collected comments from citizens and groups concerned about the impacts of a proposed 5,000-well oil and gas project in eastern Wyoming. The situation has a troubling irony, because as BLM reviews the project’s environmental risks, it is simultaneously working to roll back its own commonsense standards to stop oil and gas companies from venting, flaring, and leaking away pollution and valuable natural gas. Rapid oil and gas development at times put Pinedale, Wyoming on par with smoggy Los Angeles in terms of ozone levels. It’s the same story for the greater sage-grouse, which without strong mitigation measures will likely abandon critical breeding sites in the area set to be impacted by the planned oil and gas project. Here, too, BLM has signaled several attempts to unravel the collaborative, decades-forged plans to protect the imperiled bird. The combination of weakening policies while expanding development could have disastrous consequences for Wyoming and other western states if methane pollution goes unchecked and the greater sage-grouse continues to decline.